Hey, were having a bbq, you should come over. Thanks, sounds fun. What would you like me to bring? Oh don't worry about bringing anything, we'll have plenty of food. But... what do you mean don't bring anything? We'll be grilling, I've made some side dishes, we should be good on food. Okay, see ya then. Bye! As a food blogger and as a person who likes to cook I really don't know what to do with myself when someone says "don't bring anything, there's plenty." 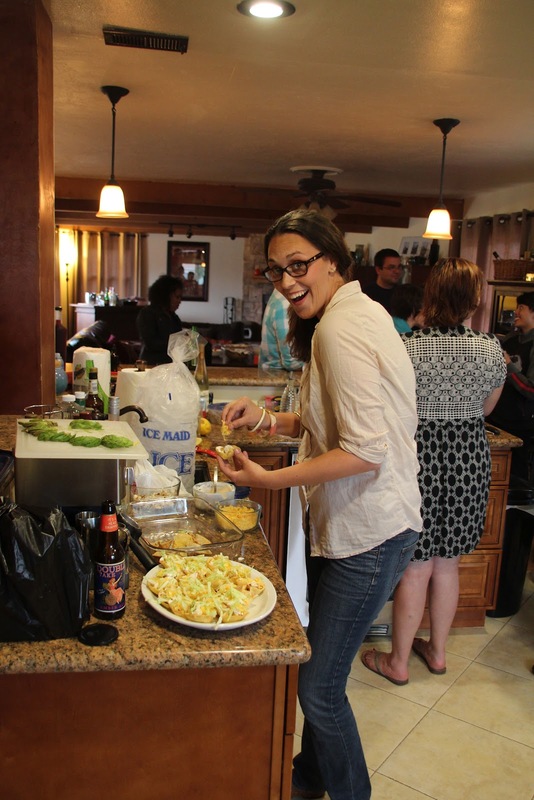 Not only do I feel ungrateful for not contributing, but get-togethers like BBQs are best way to show off. I try to impress my friends when I bring a shared dish. Lets be honest. We've all done it. So when this friend said don't worry about it, wanna know what I did...? I made mini fish taco cups! I took that "were good on food" as a challenge. 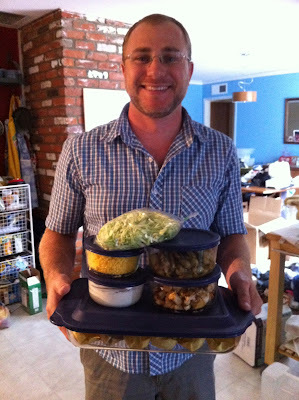 What kind of party would it be if I didn't bring mini morsels of San Diego's signature dish? NO PARTY AT ALL I SAY! 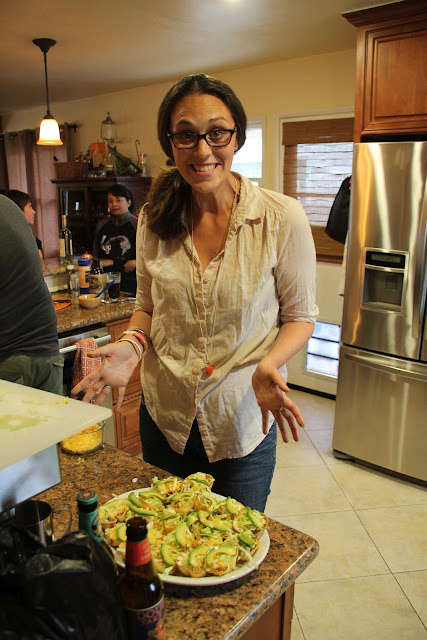 The first step to really good fish tacos, large or small, is to get a really good cut of fish. We went with one that was already marinated. 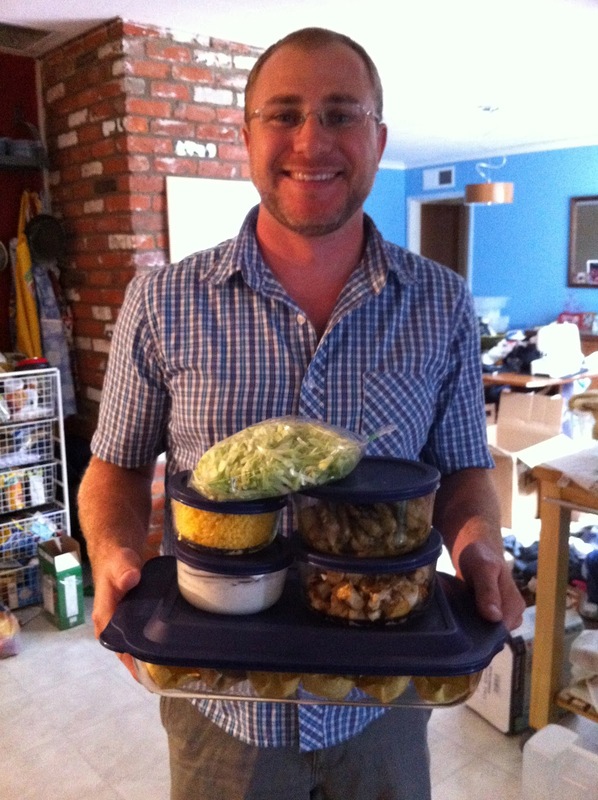 Next we picked up the tortillas for the shells and our preferred toppings and then we were off! Once at home, Rob cooked the fish in the wok, super fast and easy (he's so helpful!) and I started on the taco shells. These little guys are so versatile. 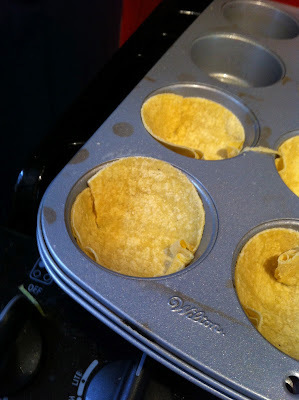 To make the shells, start with corn tortillas and a biscuit/cookie cutter. If you dont have either, a cup and knife will also work. 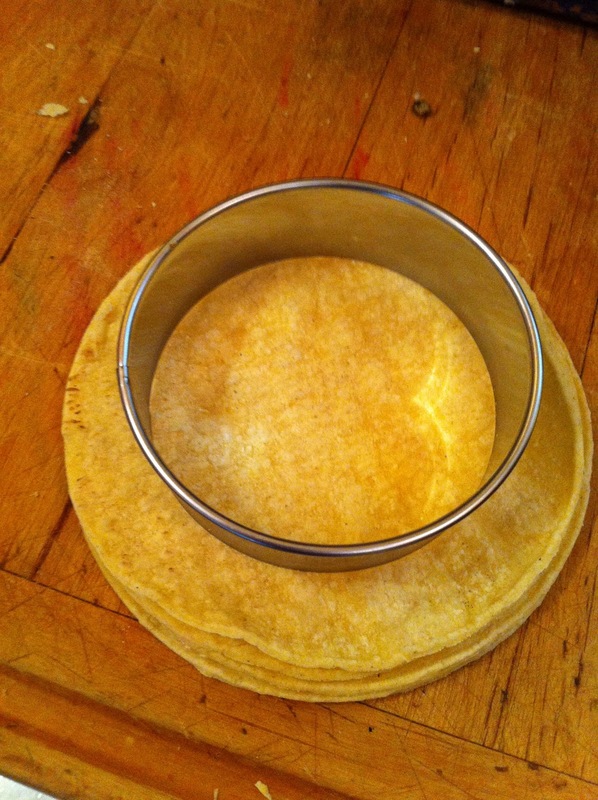 Heat the tortillas in the microwave. 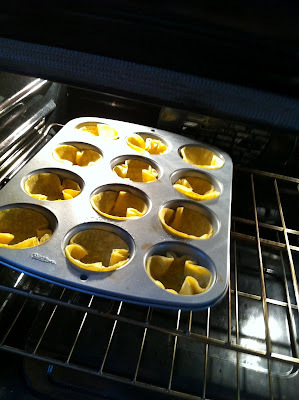 This is an important step because it will be hard to put them in the pan if they are stiff. It may take a try or two before you get the hang of how they fit in. Put really as long as they create a general cup shape, you're golden. 1. Add cooked fish to the cups 2. Small dollop of white sauce* 3. Cheese and cabbage 4. Slice of avocado! Whip these bad boys up ASAP. Everyone will love you and think you're just the most clever person! These are so cute, and it's fast and easy to make!